Thanks dude, me too but good to have a sanity check :-) Fingers crossed that the painting goes to plan! Awesome stuff mate. I’m loving the direction and the new models look incredible. I hope you get them painted soon. Thanks dude – me too! 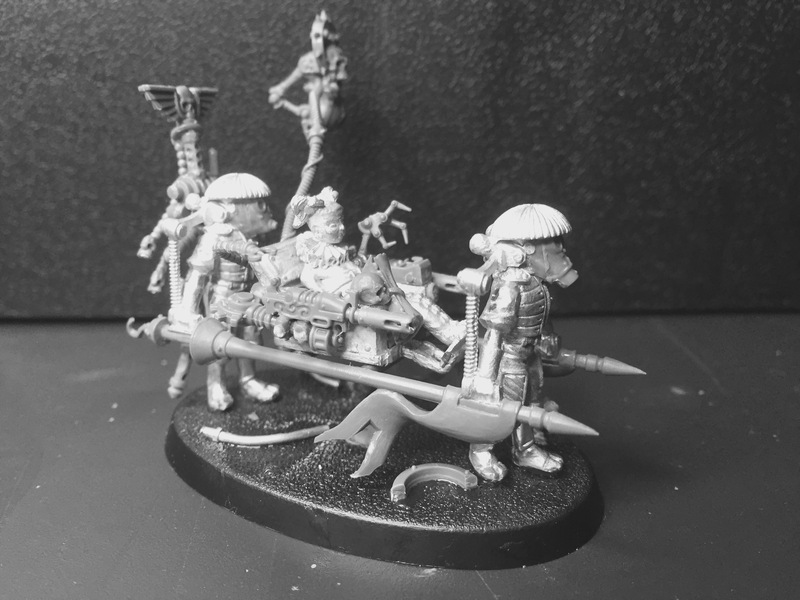 Mezura is fantastic – only in 40k would someone mount guns on a sedan chair! 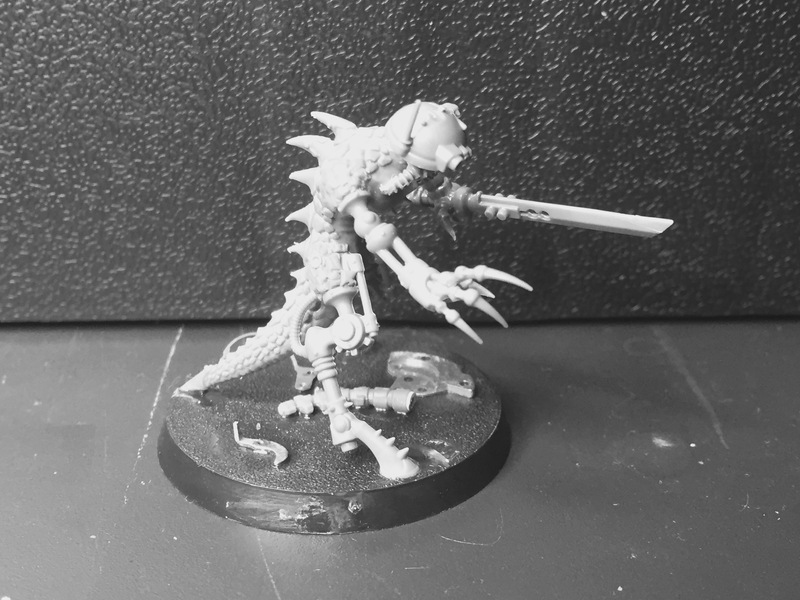 I like the lizardman too – by removing the lizard head you’ve pushed it away from being a direct ‘lizardman in space’ and turned it into something a bit more nuanced and unique. 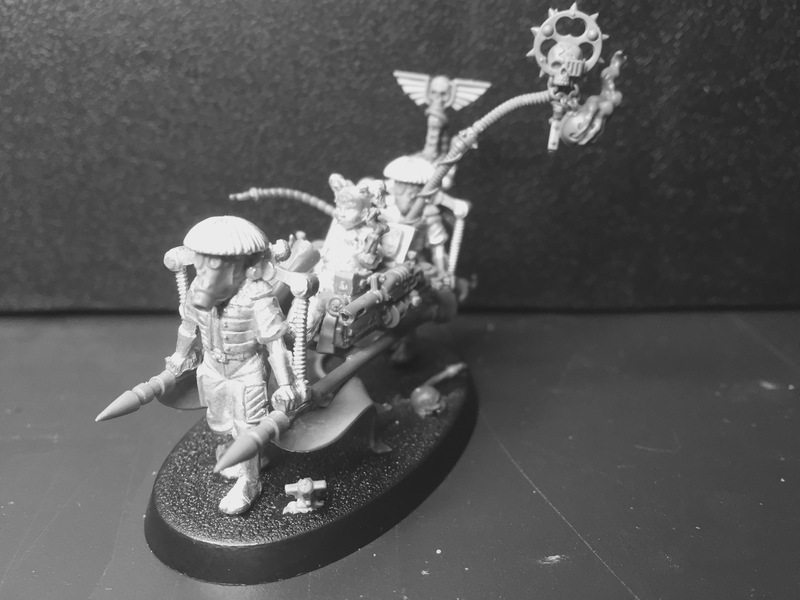 Of course the chair is alive, the willful machine-spirit within it is a holy relic of the Omnissiah (whereas the flesh components that carry it around are mere servants of Mistress Mezura and would do well to remember that)! The Navigator steals the show. Absolutely lovely. Great stuff! 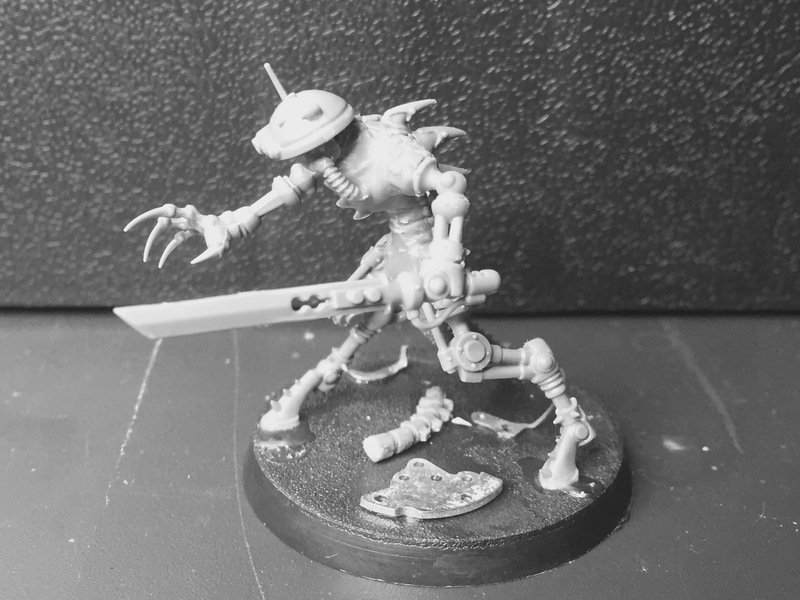 There’s not nearly enough navis nobilitae miniatures out there, glad you have gotten up to create some. Lizardman looks cool too, replacing the head was a good choice. Thanks mate, and yeah, nowhere near enough love given to Navigators! Nice short story. Nice concept to see the Navigators as true power holders. I haven’t read enough of 30k/40k to know more about them. Though from the books I’ve read, they seem to be mere servants to the Imperium. Would like to read something that unleashes their power further, than just ship navigators. Oh man, oh man! I do need to steal that idea! So cool!! :-) Thanks man, steal away! Oh wow! That navigator is very cool. Where did Mezura come from? 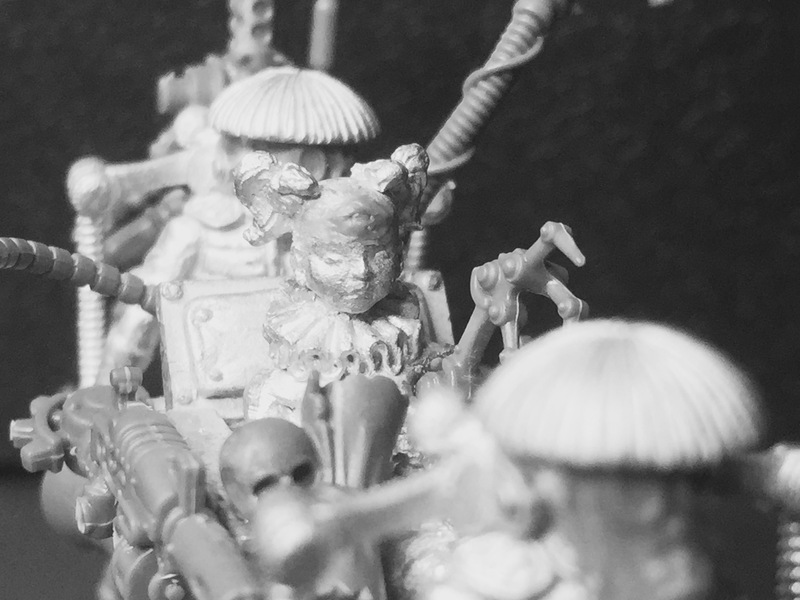 If you have not painted that section yet, you might consider having the left side gun “looking” the same direction as the servo skull, might add a bit more life to the piece. 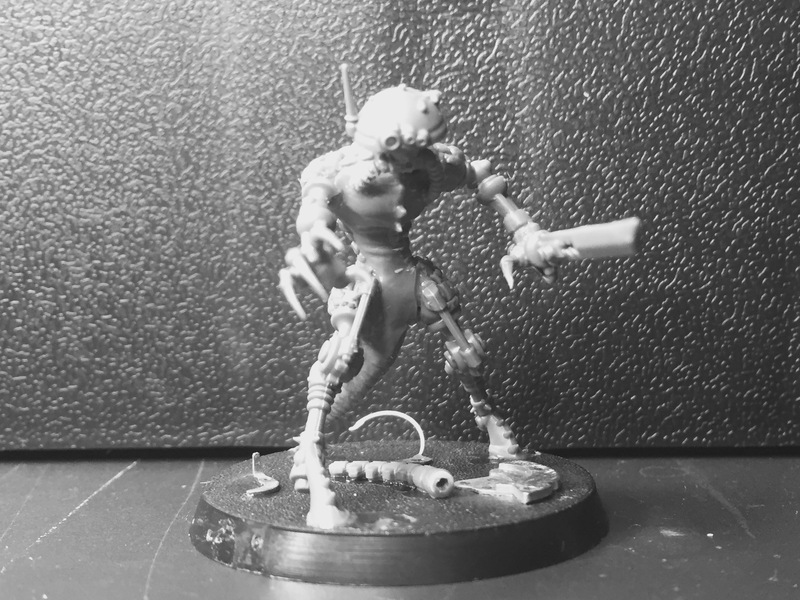 Thanks mate – Mezura is from Taban Miniatures – can’t remember the faction but she’s in there somewhere ;-) That gun’s a bit fiddly to move, but I may straighten up the skull instead – good shout on the astropaths dude, they are deffo part of the glue aren’t they! Hi Alex. Your comments on my InQ crew were marked as spam. Only just found and retrieved and replied to them. I’ll now search for when I purchased Ezekiel from. Sorry to comment on here but there was no reply button on your comments on the INW post.